Edenbridge, Austria’s premier Symphonic Melodic Metal act, have announced the release of their stupendous ninth studio album, ‘The Great Momentum’, on February 17th on Steamhammer / SPV, as a DigiPak CD, double gatefold 180 gram golden vinyl album (with printed inner sleeves plus CD in a cardboard sleeve), box-set, download and stream. Edenbridge, the band formed by composer, multi-instrumentalist / main man Lanvall and soaring, expressive singer Sabine Edelsbacher, have once again succeeded in raising the bar ever higher on ‘The Great Momentum’, a powerful, diverse, hauntingly atmospheric symphonic melodic metal masterstroke. While each track is a highlight, mention must be made of album opener ‘Shiantara’ with its metal guitars and bombastic chorus, which was inspired by sci-fi series ‘Star Trek’. No less impressive are the first single ‘The Moment Is Now’, the extraordinarily orchestrated ‘A Turnaround In Art’, or twelve-minute album closer, ‘The Greatest Gift Of All’ which features every one of the band’s fortes; bombastic arrangements, sheer power, speed, but also great sensitivity and empathy. Like its predecessors, ‘The Grand Design’ (2006), ‘Myearthdream’ (2008), ‘Solitaire’ (2010) and ‘The Bonding’ (2013), ‘The Great Momentum’ was mixed by Karl Groom (Threshold) at his Thin Ice Studio in Surrey, England, and the mastering taken care of by Mika Jussila (Stratovarius, among others) at the renowned Finnvox Studios. Among the guests featuring on the album are vocalist Erik Martensson (Eclipse, W.E.T, Nordic Union) and the Junge Philharmonie Freistadt orchestra. The album cover artwork is a joint production by the American artist Anthony Clarkson (Geoff Tate, Fear Factory, among others) and Edenbridge drummer Johannes Jungreithmeier. “This atmospheric blend of elegance and energy is the ultimate symbol of the music on ‘The Great Momentum’” rejoice Edenbridge, who are set to embark on their second tour of Vietnam in March 2017. Along with two concerts in Hanoi and Ho Chi Minh City (the former Saigon), an 80-minute show will be recorded for Vietnamese TV as the tour’s climax. 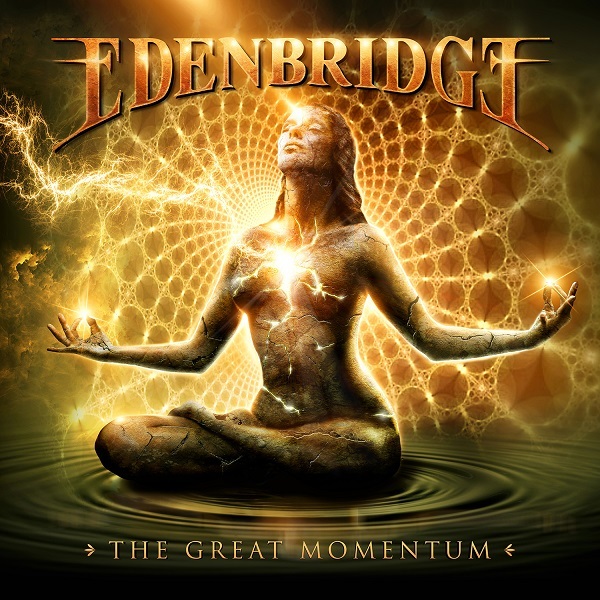 There’s simply no stopping Edenbridge’s great momentum into the symphonic metal stratosphere!